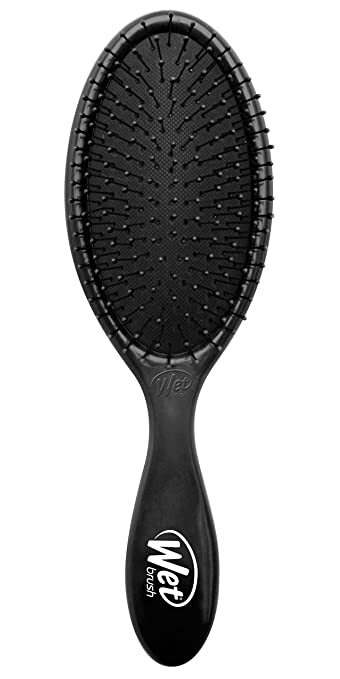 This helps your hair stay soft and voluminous throughout the day. I use this only on my ends, since they tend to get more dry than my scalp. This doesn’t help your hair grow, but I think it helps it look healthier! It’s also super inexpensive ($2.97?!) and lasts so long. Link is for a quantity of 2 which is the only one I could find that was available for Prime shipping. But still, $5.94 for 2 bottles is a crazy good deal, and it’s enough to last for a few months – score!! Sounds ironic, but it’s important to get a small trim every few months to get rid of any split ends. When you have a ton of split ends, your hair won’t grow much because the hair will continue to break off. So, hair trims are your friend! Hairdressers close your eyes – or you can do what I do and get real hair cutting scissors and do it yourself at home! I trim about a 1/4″ off my hair every 2-2.5 months to keep my hair healthy. 4. Hair masks – at home! You can get small tubs of hair masks to use at home that will help all types of hair. I have two I love to use. One is for smoothing and another is for dry/damaged hair. My hair is currently not damaged, but I love how it helps with my dry ends! You can also make your own at home with some ingredients you probably already have. 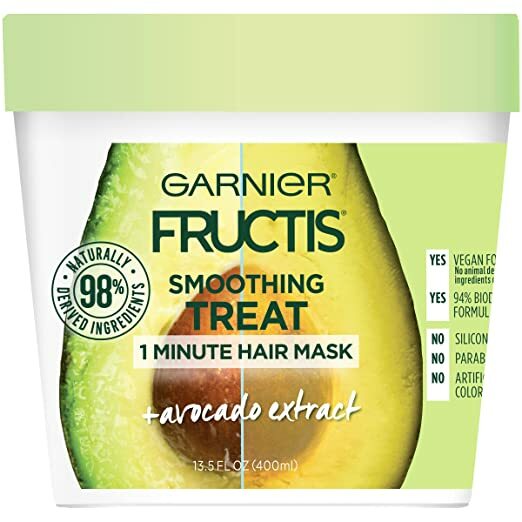 Garnier Smoothing Treatment – https://amzn.to/2MMTavM – highly, highly recommend this! This only has to be in your hair for one minute, so it’s perfect for rushed mornings or a quick treat for your hair. Neutrogena Triple Moisture Hair Mask – https://amzn.to/2t4F53K – helps my hair look so hydrated and healthy!! This may seem obvious, but heat is so damaging to your hair! Straightening or curling your hair every day can cause heat damage and split ends. If you have to use heat on your hair frequently, always use a heat protector. I’ve always love TRESemme’s heat protectant, and it works great! It’s available at Target for $4.99. Super inexpensive way to protect your hair! Spray it on damp or dry hair before using any heat. I personally like to spray it on my damp hair before blow drying, and if I style it after, I’ll respray my hair. Try not to dye your hair all the time! In 8th grade I thought it’d be a great idea to bleach my hair every week???? Long story short I couldn’t even brush through it anymore and got my hair cut to my collarbones – yikes. You’re also probably not as dumb as I was, but still be gentle with your hair when dying/bleaching it. Try to skip washing your hair some days. Baby powder and dry shampoo are some of my favorite hair products to keep my hair grease free. Dry shampoo works best for some extra volume, but baby powder works great to absorb all the grease. Finish your shower off with a semi-cold rinse in your hair. Cold water closes the cuticles on your scalp, resulting in shiny and healthy hair, since the conditioner you use is being sealed in. I also think it can help with frizziness!